Exciting news! 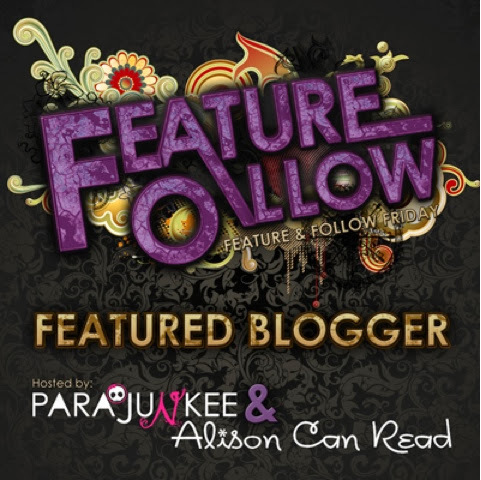 I am featured this week on Alison Can Read. Have a look at her FF post! Here you can check out her blog. This weeks question is: "What was the last book that made you cry?" The last book that made my cry was A Thousand Splendid Suns by Khaled Hosseni. It had me on the edge of my seat from page one, it is a very dramatic book. Some events in the book were very unexpected and it was very emotional. You can really empathise with the characters. Check out my review for A Thousand Splendid Suns here. Congratulations on being featured! I haven't read the book yet but thanks for your review. I can only imagine the scenes that can really make me cry in this book. I read one book about women in Afghanistan, I think it was titled, Kabul Beauty School, and it was heart-wrenching. But at the same time it was inspiring too. New follower via Twitter and Google +. That's awesome you were featured! I haven't read this book yet, but I need too! Haven't heard of it, but I love the title! ATSS is a pretty intense read. I think I was too frightened and fearful to cry. Fault in Our Stars is a lovely, weepy novel! It reminded me of all the Lurlene McDaniel books that were popular when I was growing up! 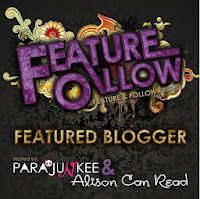 Congrats on being one of the featured bloggers! Great choice...I loved that book. Congrats on being the feature! I haven't read ATSS but it sounds very intense, and maybe something I would enjoy! New follower via GFC! Congrats on the feature! I haven't read the book but I've heard good things about it! Congratulations on the feature. I haven't read any of Khaled Hosseni's books, but I've heard so much about them that I have to check them out. New GFC and G+ follower. I read that book a while ago and absolutely loved it! I don't remember if I cried, but it was definitely a great book. Tina @ Pages of Comfort - new follower via GFC! Lovely blog. New follower via Feedly. Here’s my FF . Sounds like an excellent book! 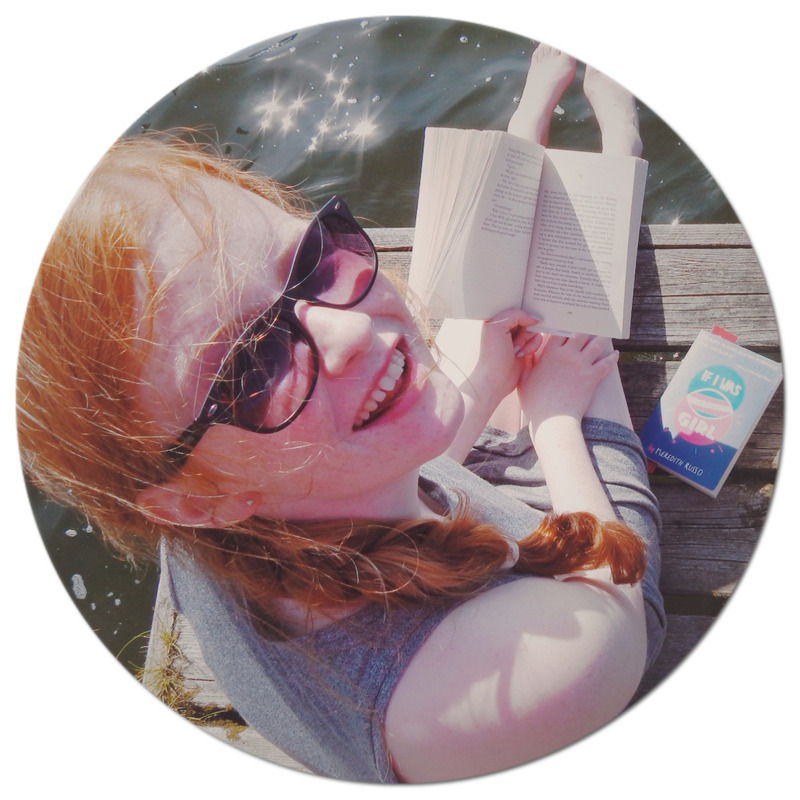 I'm a new book blogger and hope to keep following you! Grats on being featured, excellent pick for the book! I agree, A Thousand Splendid Suns is a true tearjerker. I cried several times while reading it, too. Have a fantastic Friday! Here's my FF post for this week. Congrats on your feature. I love the design of your blog, the drawings are really cute! Happy FF! New GFC follow! I haven't read that book yet. Its on my TBR list though. New follower via GFC. Congrats on being featured! Oooh, yeah A Thousand Splendid Suns did make me cry. Such a good book! Congrats on being featured! New GFC follower! Hey there, congrats on being featured! I haven't read this yet, but of course I've heard of it. I need to read the Kite Runner first, and that's been on my TBR forever! New GFC follower. I haven't read that book yet. I don't blub easily. The last time I did was when I was reading HP. I've always meant to read A Thousand Splendid Suns, but haven't yet. Congrats on being featured this week! I'm a new GFC follower. :) Happy Friday! Congrats on being featured! :) I've never heard of that book, but it looks interesting so I may need to check it out! Hello, congrats on being featured! :) I'm a new GFC follower! I'm going to be participating in my first ever Feature Follow this upcoming week and I'm a bit nervous. aha But oh my gosh, I really need to get that book because I read his other called Kite Runner which was really good and sad! Congrats on being featured!! I missed last week's post but wanted to stop by and say hellow. Congrats on being featured New follower on GFC!